'Pure unadulterated joy!' exclaimed the 'True Taste of Wales' judges before awarding the Shed its 'Regional Gold' award. Rob and Caroline Jones' amiable restaurant occupies defunct slate works offices and fisherman's lock-ups by Porthgain quay, and it's been decked out in nautical style with all sorts of curios and bric-a-brac. 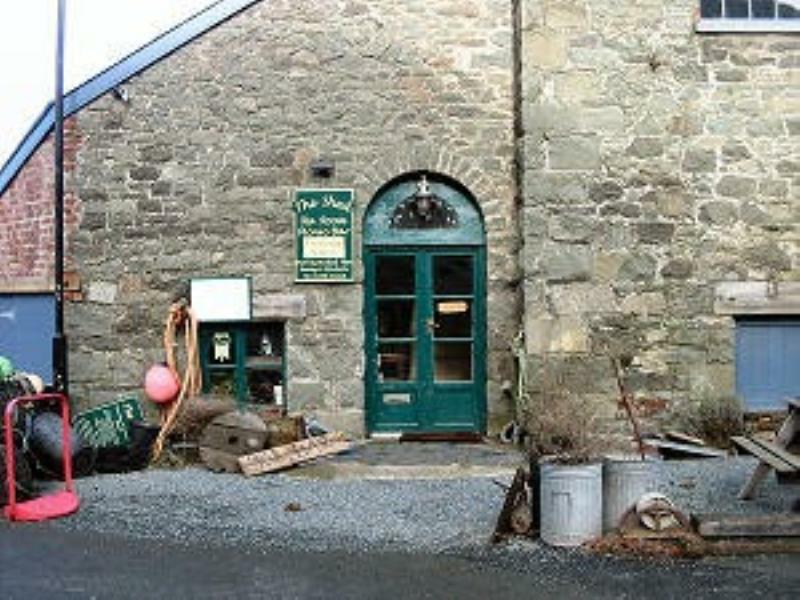 Local fish is the mainstay of the menu (the Shed was also AA Welsh Seafood Restaurant of the Year, 2006), and the owners catch their own crabs and lobsters. In addition to crustacea, Caroline also conjures up seared scallops with hot mustard and shallot sauce, fillet of gurnard with potato and saffron broth and hake cutlet 'en papillote'. Fillet of Welsh Black beef with béarnaise is an alternative for meat fans, while desserts could range from walnut tart with Welsh whisky butterscotch sauce to poached pear in mead and honey. Simpler one-course options are the order of the day at lunchtime. Note that opening times vary seasonally, so telephone for details. Booking essential.